As it turns out, Amazon (NASDAQ:AMZN) isn’t dominating all things retail, and that’s a big win for consumer discretionary stocks, which have been beaten up on the “Amazon will kill everything retail” thesis. Cracks have been forming in that thesis for several quarters now. Over the past year-plus, Amazon’s e-commerce business has seen its growth rates slow dramatically, from 22% in the third quarter of 2017, to just 14% last quarter. Meanwhile, Walmart (NYSE:WMT), Target (NYSE:TGT) and many other big-box retailers have grown their e-commerce businesses at consistent 20%-plus rates. The takeaway? Fears of the retail apocalypse at the hands of Amazon are overblown. Amazon doesn’t own the e-commerce space. Traditional retailers are successfully pivoting to and growing in that space. As they continue to do so, beaten up consumer discretionary stocks will rebound. Recently, more evidence came to light which should serve as additional firepower for the consumer discretionary stock recovery. A Marketplace Pulse research report, which analyzed 400-plus private-label Amazon brands and 1.4 million customer reviews, found that the common and popular thesis that Amazon brands are dominating the retail landscape, is actually very wrong. Specifically, the research found that outside of a few successful private-label brands, Amazon’s series of consumer discretionary brands are largely duds. The takeaway? Yet again, fears of the retail apocalypse at the hands of Amazon are overblown. Amazon brands aren’t killing other brands. Traditional brands are holding their own, and growing within a still growing global consumer pie. As they continue to do so, beaten up consumer discretionary stocks should continue to rebound. All in all, with the “Amazon will kill everything retail” thesis almost fully debunked, now seems like a good time to buy consumer discretionary stocks. Which ones are the best to buy? Let’s take a deeper look. Of all consumer discretionary stocks to buy as the “Amazon will kill everything retail” thesis is dismantled, Walmart is the clearest winner in the pack. The thesis here is simple. 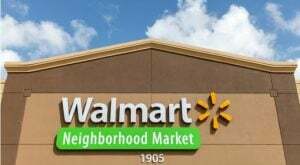 Walmart is the world’s largest retailer. Naturally, as the world’s largest retailer, it was hit hard when Amazon started stealing share left and right in the traditional retail world. Walmart stock dropped. Now, the traditional retail world is fighting back, and as it does, Walmart stock is gaining because Walmart is leading the charge in that fight. Namely, Walmart has built out an omnichannel commerce operation that is second to none in the world. They have a huge brick-and-mortar presence coupled with a rapidly growing digital business, and many of the stores have things like buy online, pick-up-in-store or buy online, ship-to-store. Consequently, Walmart’s traffic growth and comparable sales growth trends are as good as they’ve been in a decade. This will continue. As the e-commerce world continues to democratize over the next several years, Walmart will be pioneering that democratization. As such, growth trends will remain favorable and Walmart stock will rise. Next to Walmart, Target is the next obvious consumer discretionary stock to buy as it becomes clear that Amazon won’t dominate all of retail. The bull thesis here is likewise simple. Next to Walmart and Amazon, Target is the third most important player in the U.S. commerce world. It also has the most room to grow (smallest e-commerce business of the three), and is the fastest grower (Target’s e-commerce business has, for the most part, been the fastest growing digital commerce business between these big three over the past several quarters). Yet, despite those attractive features, Target stock is the cheapest in the group by a long shot, at just 13-times forward earnings, versus a 20-plus forward multiple for Walmart stock and a 60-plus forward multiple for Amazon. Some of this has to do with margin concerns. But, those margin concerns appear to be overblown, as Target is growing fast enough to offset wage growth. As such, Target stock should rise as the “Amazon will kill everything retail” thesis falls back. It seems like we’ve seen this rodeo before. In the early 2010’s, everyone thought Best Buy (NYSE:BBY) was heading for the retail graveyard as all of its peers were declaring bankruptcy amid massive Amazon-led e-commerce disruption. That didn’t happen. Instead, Best Buy adapted, gobbled up market share from extinct peers, and turned into an overnight retail sensation. At just 12-times forward earnings, BBY stock is priced as if those extinction concerns are still around. They shouldn’t be. This company has established itself as the leader in the consumer electronics space, a space which Amazon has unsuccessfully penetrated at scale (only 3.3% of Amazon’s private-label brands are in the electronics category). Partly because people still like shopping in stores, partly because Best Buy has a robust omnichannel presence, and partly because the stuff you buy at electronics stores requires education and/or testing, Best Buy will remain the go-to place to buy any and all consumer electronics for the foreseeable future. This space is rapidly growing because everything is becoming smart. It started with smartphones. Then smart tablets and smart TVs. Now, smart fridges, smartwatches, smart speakers, smart cameras … smart this and smart that. It’s all smart these days, and it’s all sold at Best Buy. This trend won’t reverse course anytime soon. As such, Best Buy should grow its share of the global retail pie as the world’s devices become increasingly “smart”. Overall, then, BBY stock simply looks too cheap here at 12-times forward earnings. This is a great stock to own at these prices. One of the categories that Amazon has been rather unsuccessful in penetrating with private-label brands is the clothing/apparel sector, and that’s great news for clothing/apparel retailers like Urban Outfitters (NASDAQ:URBN). Amazon has a ton of private-label clothing/apparel brands. Nearly 200 brands to be specific, which represents almost 50% of Amazon’s total private-label brands. But, in terms of aggregate reviews, Amazon’s private-label clothing brands have much, much less than a 50% share, and actually closer to a 10-20% share. Thus, despite having a bunch of brands in the space, Amazon hasn’t really made a big splash in the clothing category. Why? No one really knows. But, I suspect it has something to do with the fact that Amazon isn’t fashionable. If I want to buy cool clothes, I’ll go somewhere I trust. Somewhere I trust includes Urban Outfitters. It does not include Amazon. So long as this remains true, fashionable clothing/apparel retailers like Urban Outfitters will continue to operate at largely stable levels. I like URBN in this space because you have a company that checks off all the retail boxes (positive comps, margin expansion and double-digit digital growth), and a stock that’s trading at just 11 forward earnings and is 40% off 52-week highs. As such, you have favorable fundamentals and depressed investor sentiment, and that’s a favorable combination for bulls. Nike (NYSE:NKE) is another consumer discretionary stock to buy as a result of Amazon’s inability to successfully penetrate the clothing/apparel category at scale. Amazon has been quietly expanding its sportswear line through Amazon Essentials. This Amazon brand has done fairly well. But, not well enough to take any material share from athletic apparel king Nike. As Amazon Essentials has gone from zero to sizable over the past year and a half, Nike has concurrently caught fire, and Nike stock has staged a big rally to all-time highs. Clearly, whatever Amazon is doing on the athletic apparel front, it isn’t impacting Nike all that much. That’s probably because, as stated earlier, Amazon apparel brands are fine for the basics, but don’t really compare when it comes to performance, quality or fashion. In the athletic apparel category, those three things matter, and Nike dominates on all three. So long as that’s true, Nike and Nike stock will both continue to be winners. The bankruptcy and subsequent liquidation of Toys R Us led many to believe that Amazon was indeed killing the toys category. But, that doesn’t appear to be the case, either. While toys are being bought online in greater frequency, consumers aren’t buying Amazon toys. Amazon has less than 10 private-label toy brands. Instead, they are buying the same old toys their parents used to buy, and that’s great news for traditional toy makers like Hasbro (NYSE:HAS) and Mattel (NASDAQ:MAT). Hasbro is the better pick of the two given less financial leverage, stronger content license agreements and partnerships, more financial stability and healthier margins. 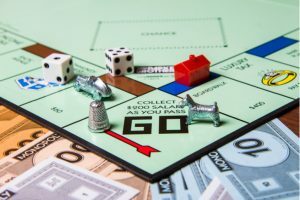 As such, investors should keep their eye out for a rally in HAS stock as the market comes around to seeing that Hasbro remains the toy king with long-term staying power. Do you remember when Amazon was supposed to kill the grocery business? Remember when they couldn’t do it alone, and so bought Whole Foods to try and kill the grocery industry? Remember when that didn’t work, either? The reality is that Amazon is running out of rabbits it can pull out of its hat to steal share in the traditional grocery market, and that’s because the traditional grocery market they are trying to disrupt has an exceptionally loyal customer base. If you like a grocery store, you like that grocery store. You get used to where things are, what to buy, where to park and you don’t want to lose that convenience or familiarity. As such, grocery shoppers aren’t inclined to switch grocery stores. 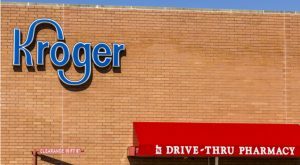 That’s great news for Kroger (NYSE:KR), who is America’s largest grocer. 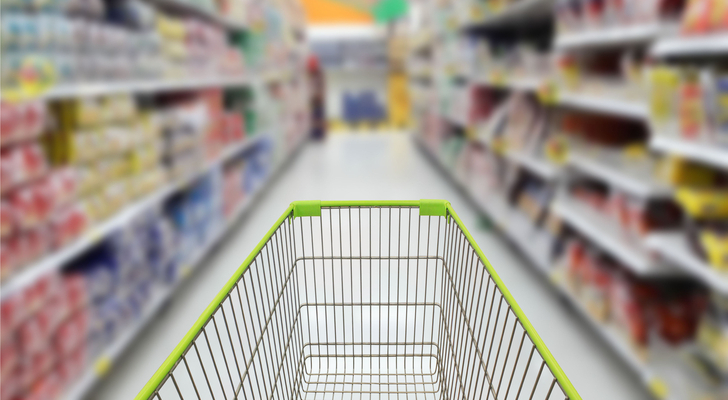 They have grocery stores everywhere that consumers love to shop at, and won’t stop shopping at anytime soon. At just 11-times forward earnings, KR stock is simply too cheap considering the company’s long-term staying power in and widespread exposure to the stable growth grocery industry. As such, this is a good consumer discretionary stock to own at these prices. As of this writing, Luke Lango was long AMZN, TGT, BBY, URBN, NKE and KR. Article printed from InvestorPlace Media, https://investorplace.com/2019/03/consumer-discretionary-stocks-to-buy-now/.